Technological advances—including pressurized cabins for hot air balloons, rocketry that powers spacecraft, and deep-sea diving gear—have changed the face of exploration. What hasn't changed since ancient times, however, is the bravery and inquisitiveness of intrepid individuals at the forefront of modern-day exploration and adventure. 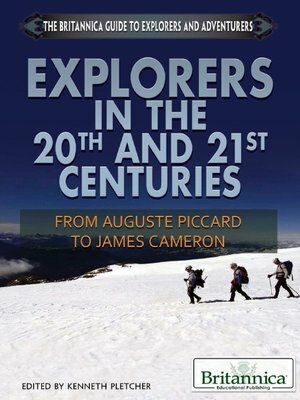 Those who have challenged conventional thinking, and sought to test physical limits of human endurance in the 20th and 21st centuries are the subjects of this exciting collection of biographies.